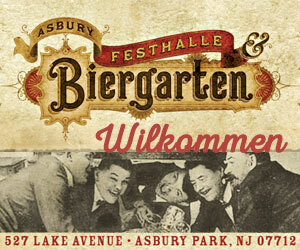 The devilish Krampus returns to Asbury Park’s downtown this weekend. St. Nick’s counterpart from German and Austrian 15th century folklore, the horned figure who punishes misbehaved children has his own day of recognition – Krampusnacht, celebrated on Dec 5. Locally, the Naughty List is being compiled in time for this weekend’s alt-holiday celebration hosted by Paranormal Books and Curiosities in partnership with The ShowRoom Cinema. 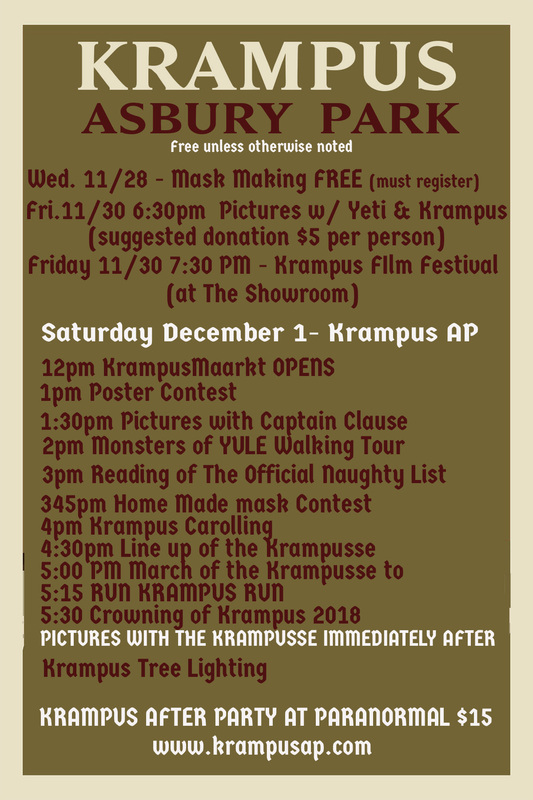 For the fourth year, Paranormal Books & Curiosities has compiled a roster of homegrown, family friendly events, including a poster contest, mask making, a storytelling tour, the award-winning Krampus Film Festival, Krampus caroling and the anticipated Naughty List reading. 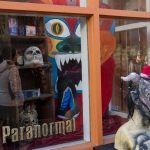 The festivities kick off at 7 pm Wednesday with the free family favorite – Mask Making at Paranormal, located at 621 Cookman Ave.
At 6:30 pm Friday, the 10th Annual Holiday Pictures with Yeti & Krampus returns. 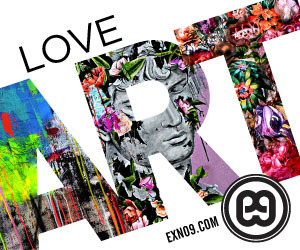 Although a free event, suggested $5 donations will be collected in support of the Wooden Walls Project. 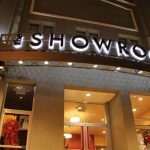 An hour later, the Third Annual Krampus Film Festival begins at The ShowRoom Cinema, located at 707 Cookman Ave. 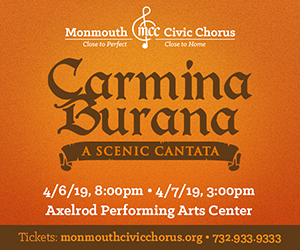 This curated set of shorts by local talents features everything from ancient folklore, horror, thriller, the dramatic, comedic and animated forms of storytelling. 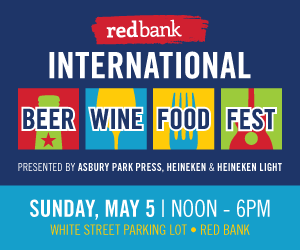 Tickets are $10. 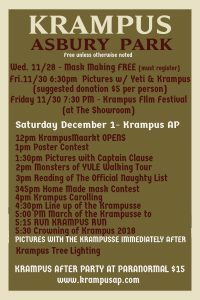 On Saturday, the local Krampus recognition sets off at noon with the opening of Krampusmaarkt at the 621 Cookman Ave venue. At 1 pm the poster contest judging begins; at 1:30 pm there are pictures with captain Nicholas Claus. 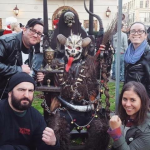 At 2 pm there’s the Monsters of Yule Walking Tour, a self guided tour featuring stops at Shelter Home– 704 Cookman Ave, Backward Glances in The Shoppes at the Arcade – 658 Cookman Ave, words! 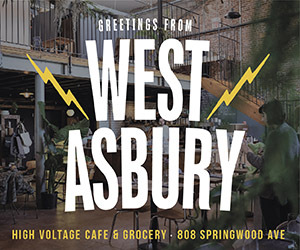 Bookstore – 623 Cookman Ave, Heaven Art & Antiques – 721 Cookman Ave, The Dawg Joint – 513 Bangs Ave, Old Glory Tattoo – 516 Summerfield Ave, Kur Wellness – 412 Bond St, and Sweet Dani B – 717 Bangs Ave.
At 3 pm the Naughty list will be read and is immediately followed by the official homemade mask making contest. 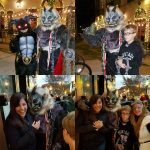 Krampus Caroling sets off at 4 pm, followed by the 4:30 pm line up of the Krampusse and 5 pm Krampus March to Kennedy Park [104 Grand Ave]. 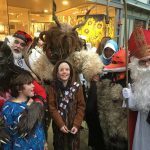 By 5:15 pm the Lauf Krampus Lauf – running of the Krampusse gets underway and is quickly followed by the Crowning of the Krampus. By 6 pm, the Krampus Tree Lighting ignites, with Krampusfeste, a tour of exhibits led by Kathy Kelly, beginning at 7:30 pm; tickets are $15. 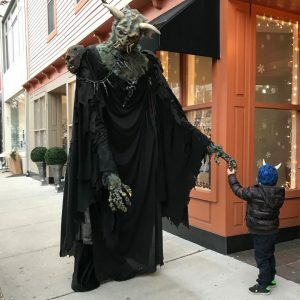 The Krampus events coincides with is annual Press Plaza Tree Lighting, slated to begin at 5:30 pm at Cookman Avenue and Emory Street. 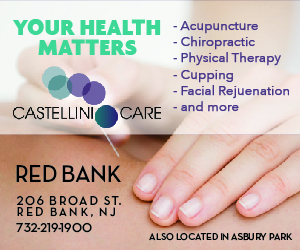 The tree is donated by The Fir Farm of Colts Neck and installed by Central Jersey Trucking. Sponsored by JCP&L, the festivity includes a live broadcast by WRAT 95.9, pictures with Santa Claus, hot chocolate from DJ’s Delights, and caroling by Alphabets Preschool and The Premier Theatre Company’s Scrooge cast. 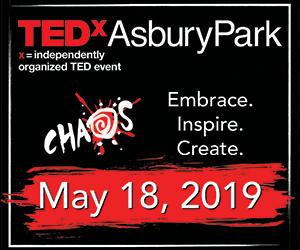 Unwrapped toys or new/gently used winter coats will be collected in support of the Asbury Park Toy Drive and the Community Affairs and Resource Center. 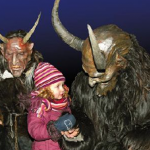 For more about KrampusAP, click here.